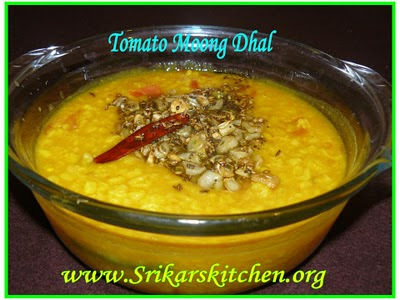 Add Moong dhal,tomato,ginger,g.chilles,turmeric powder in a pressure cooker. Allow to cook upo 2-3 whistle. Heat oil in a pan, add mustard seed, cumin seed, garlic, red chilles & saute . Add to dhal & check the seasoing. Nice dhal perfect with rice or roti. nice dal recipe...healthy and tasty dear. Easy to make yet comforting! Looks delicious! A home cooked comfort food.. nice click.. Very healthy recipe. Loved the click.